Cliffe Dekker Hofmeyr (CDH) is proud to once again receive international recognition from The Legal 500 EMEA. For the past three decades, The Legal 500 has used comprehensive independent researchers to assess the capabilities of law firms in over 150 jurisdictions worldwide. An annual independent review of over 300 000 in-house peers, coupled with access to law firm deals and confidential matters, is used to identify and rank the capabilities of professional legal services around the globe. “Our firm forges strategic partnerships with industry leaders to achieve outstanding results. The 2019 Legal 500 EMEA’s editorial specifically acknowledges these strong and longstanding partnerships. The recent rankings confirm the skills and expertise that clients have come to trust and rely on to lead their high profile and complex deals and matters,” says Brent Williams, CEO of CDH. CDH was recommended as a Top-Tier Firm in four practices areas, namely Corporate & Commercial/M&A, Construction; Dispute Resolution and Real Estate. The firm was also recommended as a Leading Firm in the following seven practice areas: Banking & Finance, Competition, Employment, Investment Funds, Projects & Infrastructure, Tax and Mining. Nine lawyers were listed in The Legal 500 EMEA’s elite “Leading lawyers” list: Ludwig Smith (Finance & Banking), Willem Jacobs (Corporate & Commercial/M&A), Chris Charter (Competition), Jurg van Dyk (Construction), Tim Fletcher (Dispute Resolution), Fiona Leppan (Employment), Attie Pretorius and William Midgley (Real Estate) and Emil Brincker (Tax & Exchange Control). Wayne Murray, a Senior Associate in the Corporate & Commercial practice was recommended as a ‘Next Generation Lawyer’ for Investment Funds in The Legal 500 EMEA 2019’s guide. The Legal 500 noted that CDH’s Corporate & Commercial/M&A practice ‘continues to be at the forefront of listed company transactions in South Africa with strong teams in both Johannesburg and Cape Town. The practice is also building its presence in private equity deals, is ‘accessible and has a wide range of skills’. It was noted that Willem Jacobs is ‘practical, solutions oriented and cost conscious’ and David Pinnock is ‘personable’, ‘gets the job done’ and is recommended for private equity transactions. Johan Latsky, Peter Hesseling and Lilia Franca are also highly rated. “We are honoured to be ranked in the global legal arena. The Legal 500’s recognition of our practices and experts confirms our commitment to delivering excellent legal counsel and strategic business advice, across all our key practice areas and sectors,” says Williams. CDH’s Dispute Resolution practice, recommended in Tier 1, ‘has grown its presence in forensics, investigations and white-collar crime work’. 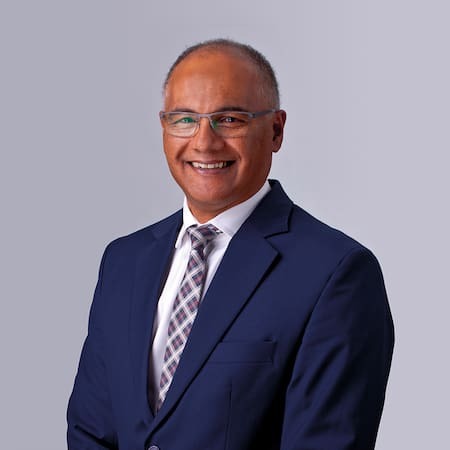 The ‘top-notch’ Tim Fletcher leads the team, which includes prominent mining disputes expert Rishaban Moodley, banking disputes expert Eugene Bester and business-rescue specialist Julian Jones. The Construction team was also ranked Tier 1 having ‘led the market in renewable energy front-end work and government-side construction disputes’. According to The Legal 500’s latest edition, the team has ‘a good understanding of commercial aspects’ and ‘a great readiness to help with short deadlines’. Jurg van Dyk is a front-end leader, Emma Dempster is recommended for solar-rooftop projects and Joe Whittle is a key name for construction disputes. The 2019 edition of The Legal 500 EMEA also acknowledged the firm’s Banking & Finance practice for its notable work in ‘preference share fundings, derivatives, structured lending and bank regulatory matters’. The Competition practice was lauded for its very strong technical knowledge coupled with strong commercial insight’, and stands out for its ‘excellent professional service delivery and proactive risk management and advice’. Chris Charter is ‘smart and thoughtful’, Andries le Grange is ‘invaluable in merger applications’ thanks to his ‘sound industry knowledge’ and Lara Granville is an emerging talent in the practice. The Employment practice was acknowledged for their impressive work in retrenchment exercises and disputes involving the use of labour brokers. The guide also specifically recommended Hugo Pienaar, ‘a leading figure in the road freight industry’, and Aadil Patel and Fiona Leppan for having ‘exceptional experience in the mining industry, especially in relation to union activities’. The Legal 500 EMEA 2019 noted that the firm’s Investment Funds team is building its standing in the industry thanks to the efforts of funds partner John Gillmer, who is ‘solutions driven, responsive, and has a technical knowledge of the industry’, along with senior tax structuring specialist Mark Linington. The firm’s Mining practice ‘continues to demonstrate its leading credentials in transactions and regulatory issues’. Allan Reid is a recognised mining regulatory leader and Giada Masina is also highly rated. The Projects & Infrastructure practice ‘is building its standing in energy and infrastructure projects across Africa. The team’s ‘directors are available and work on a partnership basis with clients’, ‘are in touch with evolving market conditions’ and have ‘extensive practical project finance experience that translates into sound and practical advice’. The Real Estate practice ‘fields a considerable and experienced team that operates at the forefront of development, finance and acquisition work, and has taken a leading position in the evolution of REITs in South Africa’. Attie Pretorius, William Midgley, Lucia Erasmus and John Webber are key names in the space. The Tax & Exchange Control practice ‘is the undisputed leader in financial services-related tax issues thanks to the presence of Emil Brincker, who is, arguably, ‘the number one tax adviser’ in the jurisdiction. Gerhard Badenhorst is a leading VAT expert and Mark Linington is at the forefront of corporate tax and fund formation tax issues’. “The partnerships we cherish and value most are those we have forged through time and experience with our clients and, of course, our people. The 2019 Legal EMEA results demonstrate that those partnerships are as strong as ever,” concludes Williams.